Want to Live to Age 100? According to some of the top research labs, many of the most powerful keys to living a longer, healthier and happier life are surprisingly simple – no special diets, potions or expensive Rxs needed! In fact, you can up your odds of celebrating a triple-digit birthday just by following a handful of these tips from this month’s issue of Women’s World. Think hitting the gym several times a week is required for healthy longevity? Not so! While engaging in regularly moderate-to-vigorous exercise can do your body good, what’s more important, new research reveals, is not spending most of every day sitting (say, at a desk job)! Live Longer Tip: Experts say, you should sneak in small bouts of activity throughout each day – like standing up to stretch for five minutes every hour or simply tapping your foot repeatedly! Eating more apples, berries, oranges, carrots, celery – whichever fruits and vegetables you enjoy most – can add two years to your life, Italian scientists say. Plants are packed with compounds, such as ellagic acid and anthocyanins, which neutralize up to 75% of the toxins that enter your body, preventing them from damaging and aging cells prematurely. Live Longer Tip: Eat seven or more servings of fruits and vegetables daily. Whether you get them from eating fish, snacking on walnuts or popping a supplement, these essential fatty acids can play a major role in your longevity. In a recent Ohio State University study, supplements with omega-3s reduced the troublemaking inflammation that can lead to cardiovascular disease, cancer and more. Live Longer Tip: Eat 4 oz. of fatty fish like salmon, mackerel or tuna twice weekly, snack on ¼ cup of walnuts daily or take 1.25 g. of fish oil daily. Turns out, connecting with folks face-to-face helps prevent a host of common health woes! “Relationships help lower blood pressure, boost immunity, and reduce inflammation; they also give us a sense of purpose – encouraging us to take better care of ourselves,” says Julianne Holt-Lunstad, Ph.D., associate professor of psychology at Brigham Young University. In fact, a recent study found that people with active social lives are 22% less likely to develop serious illnesses compared to solitary folks. And Australian research suggests that regularly hanging out with friends can add up to seven years to your life. Live Longer Tip: Just go shopping with your BFF, invite a co-worker to lunch, take a walk with your neighbor, hand out with your significant other and/or invite the kids or grandkids to play video or board games with you. A sense of humor just might be as important to a long life as exercising and eating well. Yeshiva University researchers found that people who reach the triple digits often say laughter is an integral part of their lives. 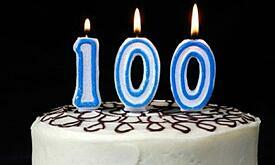 And other studies show that centenarians tend to be upbeat and easygoing. Live Longer Tip: Not naturally a jokester? Try watching a sitcom or two to get your quote of life-extending belly laughs or subscribe to a funny free e-mail newsletter, such as AJokeADay.com or GCFL.net.